"Fully unified and deployable development systems in electronic design processes"
The best thing is that it offers a wide range of data management tools and information resources, in addition to helping to reduce the gap between design and manufacturing. In the organization we are happy with altium designer because it also allows us to actively manage the generation and verification of all manufacturing data and this allows us to save time and minimize costly errors during the design flow. 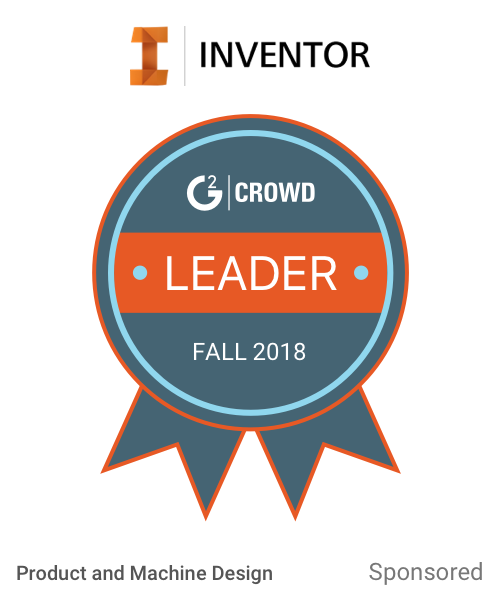 The cloud is saved in case you want it, is a function that has, for example, imagine a group of developers that there are 3 people dedicated to making the circuit, because they work from there all together. It is useful when you need to make a box for the circuit and also when you stack PCBs to make sure that the components do not collide with each other. The disadvantages are minimal, since the software is very complete, there are other programs like Proteus that are easier to use, but when you learn to use Altium Designer, you will find many other options that other programs do not have. When you start using this software you will realize that it offers many more options than other design programs. At the beginning it will seem very difficult, but it is worth taking the risk and start with this software. there are no problems of bookstores, there are thousands everywhere and always someone shares the last (which are paid) and last you create your component by hand and ready, I do it often with some mics I use. The altium is very complete, I think most of us hardly use 30 or 40% of the capacity and functions it brings. The system of rules for the design of PCB is fantastic, the creation of subcircuits and repetitions also, the circuit variants, in short, it is the best that there is of those that I have tried. Altium is a powerful tool for Electronic Design from creating your schematics up to building your prototype. Rich library, easy to create your own, tons of manufacturers contributions, and more. Routing capability is super great and customizable — huge library of templates as well as design ideas. Examples also are a good place to start. The printing capabilities in Altium Designer is fantastic and unbeatable. The combination between the auto- and maual routing is a great feature to add to the software. Not much, I just love it. Maybe the recent updates took away some export options, but still great software. Altium Designer is all that you need for product Design from ideas to prototyping. Designing PCBs for our projects. The sync between the footprint and the schematics is amazing and design flow is smooth. "A powefull (And expensive) software for PCB design"
It's powerful. You can do virtually whatever you imagine. Altium has a tool for any task you need. It also adapts to beginner and expert users. You can have been using it for years but you can still learning shortcuts to do your job better and faster. Powerful tools for rigid-flex PCBs. It's very expensive, so maybe it is not suitable for small companies which make a few PCBs per year. I mainly use it for PCB prototyping, but sometimes also for commercial products. The benefits are a powerful, robust and fast tool for making whatever the PCB you want. The one thing I like about Altium is the user-friendliness of it compared to other similar softwares like Allegro PCB Editor. It grants you full control over the different components and features of your PCB board and you can virtually do anything with the new added features. Despite being often helpful, many of the features can add to the complexity of the menu tabs and in addition to that, the huge volume of hard disk space needed for the software makes it use a significant portion of the RAM, often slowing down the whole system. We use Altium to design and prepare printed circuit boards for various purposes, such as wireless communication systems, computer interfacing systems, and biomedical circuits. "PCB design software for the 21st century"
I use this design software every day at work, and so far is the best I have ever used. Perfect integration between schematics and routing, also simulation tools. Also version 2018 have improved a lot the performance. All the products of the company have been designed using this software, is very agile to work using the snippets and recycled modules. The interface is highly customizable. "Seamless feature integrations and tooks"
The tools are intuitive and easy to use, even for advanced features. The inclusion of variant management is wonderful and allows for easy modification and faster time to market for new products. The software has a few glitches that cause crashes, save often. Altium has allowed for easier completion of internal designs as well as easier review of customer's designs thanks to its various importers. The ability to connect all facets of the design process and the 3D capabilities, amazing! Layout your ideas and see them come together through schemes and simulation. The 3D capability validates your design. You, and others, can see first hand what your vision of your project is. A little over our budget right now but is definitely top priority on our list of investments as soon as we can afford it. Instead of using a variety of softwares, Altium Designer brings all, top of the line, tools and technologies needed to help a project go from idea to a 3D rendering. Fantastic! "Great Design Tool for Engineers!" It allows you to view your design in 3 dimensions so can overview the design and get a best idea of how your PCB will come out! Its a great tool, me and my team loved using it! We were designing PCB's for our electronic designs projects. We moved from PCAD the main advantage was the 3D view and many more helpful featurea! "Altium is a great PCB design software"
I like altium for its versatility when it comes to circuit design. I am able to make different types of boards such a flex, rigid, and rigid-flex. I can also extract 3D models from the software. The thing I dislike about Alitum is high cost. I am developing PCBs for my product. Altium designer is good to learn and knowledgable.I can make multiple layers do the drc checks easily.Easy to fut into differebt shapes silkscreen usuage is good likewise they are many good points about it. I have designed many printed circuit boards using Altium desinger version 15.I have understood that multi layers can be desinged well using it and also different shapes pf boards can also be created. Facilidad de diseño electrónico en todo el proceso, tanto en la captura de los esquemáticos, listas de componentes y rutado del PCB. Gracias. Comodidad a la hora de gestionar nuevas actualizaciones y versiones diferentes de PCB. El proceso de aprendizaje inicial es bastante lento. Hasta que te acostumbras a los atajos y teclas rápidas pasa bastante tiempo. Junto con SolidWorks se desarrollaron soluciones mecatrónicas para la industria del metal. La facilidad para generar renderizaciones de los PCB facilitaba enormemente el proceso. "Altium designer a very powerful software for designing PCBs"
-very easy to learn how to work with its features. -has the 3D design option. -so easy to modify or change the design. Actually, I did not see any complaints about it. Has an good auto router and differential pair routing functionalities. GUI can be improved. Pricing competitiveness is still an issue. High end PCB design is along with HDL capture, circuit simulation and signl integrity analysis is quite easily realized.  * We monitor all Altium Designer reviews to prevent fraudulent reviews and keep review quality high. We do not post reviews by company employees or direct competitors. Validated reviews require the user to submit a screenshot of the product containing their user ID, in order to verify a user is an actual user of the product. Hi there! Are you looking to implement a solution like Altium Designer?